Capsaicin is a phytochemical found in almost every part of spicy peppers except for the seed. This molecular compound is responsible for the heat of peppers and is most likely used as a deterrent against fungi and animals. Capsaicin has no dietary or nutritional content. The most popular and frequent use of capsaicin is to add spice or piquancy to food products like chili powder and paprika. Beyond its culinary use, capsaicin has been included in all sorts of pain-relieving topical ointments and dermal patches since capsaicin is a known analgesic agent. With the exception of bell peppers, all pepper varieties contain differing amounts of capsaicin. The Scoville Heat Scale is used to measure spicy heat concentrations in peppers, with pure capsaicin coming in at around 16,000,000 Scoville units, and most common pepper varieties averaging around 30,000 Scoville units. Capsaicin can also be found in creams and dermal patches like previously mentioned, as well as supplements. Ingesting and applying capsaicin can result in irritation, however, so be sure to test a small dosage of it before taking in or putting on liberal amounts. In particular, hot peppers and creams can result in acid reflux, or even allergic reactions in certain people. Capsaicin’s most well-known pharmaceutical application lies in pain relief. This compound inhibits the neuropeptide Substance P, which is a pain transmitter that can cause nerve fibers to swell and result in headaches, migraines, and the aches from osteoarthritis and diabetic neuropathy. In fact, the pain-relieving and anti-inflammatory properties of capsaicin are so potent that it can be used against fibromylagia, nerve pain, and cluster headaches, which are recurring headaches described as the worst type of pain comparable to the pains of childbirth. Capsaicin can help combat obesity in two ways. The first is by increasing metabolic activity, in turn encouraging the body to burn fat and calories at a faster rate. The second is by reducing the production of ghrelin, or the hormone associated with hunger. Together, these make capsaicin an effective measure against obesity. 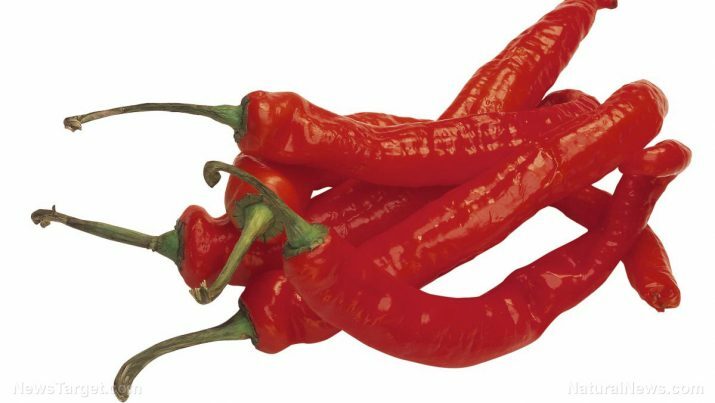 The antibacterial property and natural heat of capsaicin can prevent sinusitis or chronic sinus infections. By stimulating the secretion of mucus, capsaicin clears up the nose and reduces nasal congestion. Capsaicin-rich creams can be useful for individuals struggling with psoriasis as capsaicin has been shown to alleviate the symptoms of this disease. Capsaicin can reduce the scaling and redness that this condition is known for, as well as relieve the itchiness. While it can cause acid reflux in certain individuals, capsaicin can reduce the risk of certain intestinal disease as well, specifically stomach ulcers, by killing the bacteria that cause them. Capsaicin can prevent cholesterol from accumulating in the arteries and keep blood vessels relaxed and properly dilated, thus decreasing the chances of high blood pressure. More than just inhibiting cholesterol accumulation, capsaicin can benefit the heart by impeding blood clot formation and restricting platelet and triglyceride aggregation. Capsaicin can boost digestive system health by promoting digestive fluid production, thus making it easier to digest and absorb the nutrients from food. Although containing zero nutritional and dietary value, capsaicin is a compound that can help the body in other ways. Capsaicin can support the health of the heart and digestive system, and prevent relieve the symptoms of conditions such a psoriasis, headaches, migraines, stomach ulcers, and high blood pressure. Since capsaicin is an irritant, it can cause acid reflux or irritation when eaten or applied in large amounts, particularly if the individual is not used to the heat caused by capsaicin.